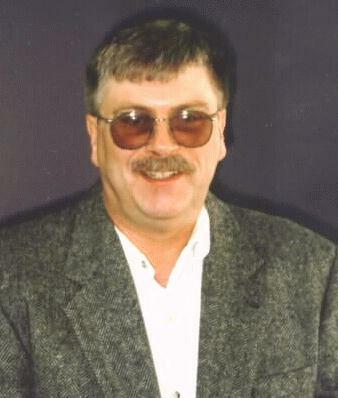 Ken Lewis, known on the Internet as "Electric Zen", has been a resident of British Columbia for 25 years. Born and raised in Boothbay Harbor, Maine, Ken studied philosophy at the University of Maine at Orono before emigrating to Canada in 1972. Ken is a Buyer for a pulp and paper company in the central interior of B.C. A member of the cyber community since the stone age of computing, Ken became actively involved in countering bigotry and racism in the digital world in 1991, first in Fidonet, a small amateur network of computer enthusiasts, and later on the Internet. In making the cyber-leap from Fidonet to the Internet he discovered USENET, the World Wide Web and, sadly, more racists, bigots and the thinly veiled - but often open - anti-Semitism inherent in Holocaust denial. He also discovered the Nizkor Project and renewed his friendship with its director, Ken McVay, whom he had known during his Fidonet days. Encouraged both by McVay's example and his suggestion to concentrate on one area of study, Ken initiated his web page, The Einsatzgruppen Archives, in August 1997. Ken's voracious appetite for reading has led him to acquire an extensive library of material pertaining to WWII and the Holocaust, and particularly the Einsatzgruppen mobile killing units. Against a seemingly rising sea of hatred, bigotry and Holocaust denial on the Internet, Ken's website, The Einsatzgruppen Archives, represents an ongoing effort to make all the indisputable evidence of the Einsatzgruppen murders available in one place on the Internet. Currently Ken is engaged in transcribing the "Opinion and Judgment of the Tribunal" in what is commonly known as "The Ohlendorf Trial". Students and educators are now finding the site useful as a research tool. The Einsatzgruppen Archives may be found at http://www.pgonline.com/electriczen or on its Toronto mirror site at www2.ca.nizkor.org/~klewis.